Mamacado: The Circus Came to Town and Tommee Tippee Giveaway! The Circus Came to Town and Tommee Tippee Giveaway! 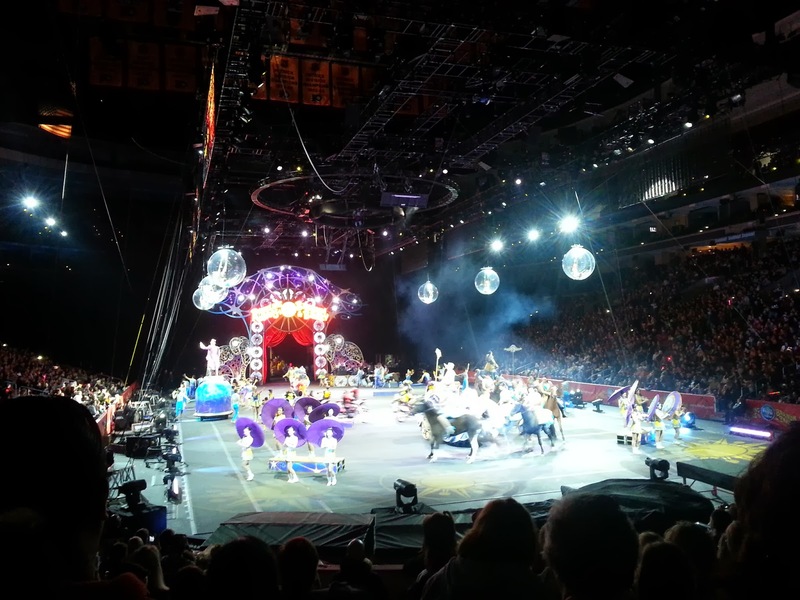 We went to the Ringling Bros. and Barnum and Bailey circus this weekend in Philadelphia. It was an awesome experience and the show was full of everything you'd expect. Acrobats performing amazing physical feats, trapeze artists swinging and flipping in the air, shiny costumes, funny clowns, elephants, and lions, tigers and kangaroos...oh my! Actually, one of our favorite kids' books includes a drawing of a "classic" circus. We saw just about all of the things pictured in the book! Little Guy loved the show, even though I got a tongue sticking out instead of a smile in this photo. 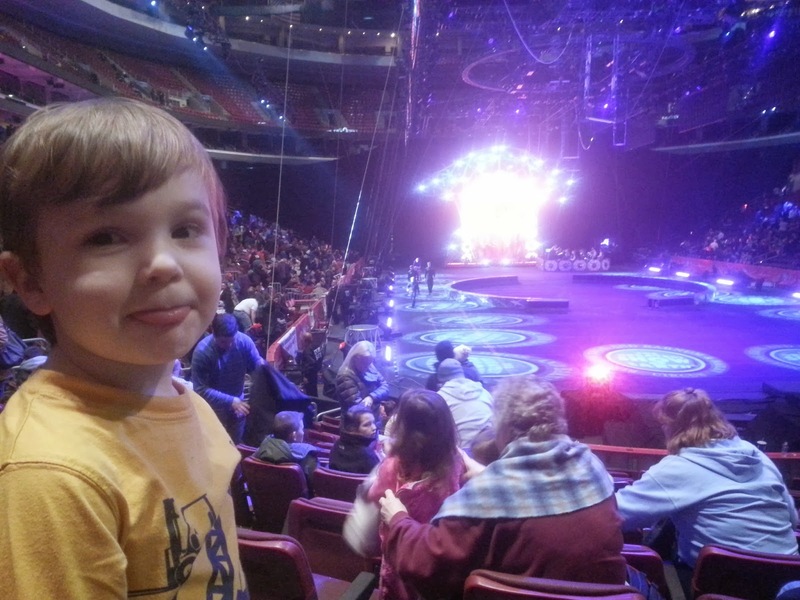 We figured out that age 3 is perfect for a little one's first circus. Little Gal also loved the circus, but she only saw the first half of it (and hardly the first half). 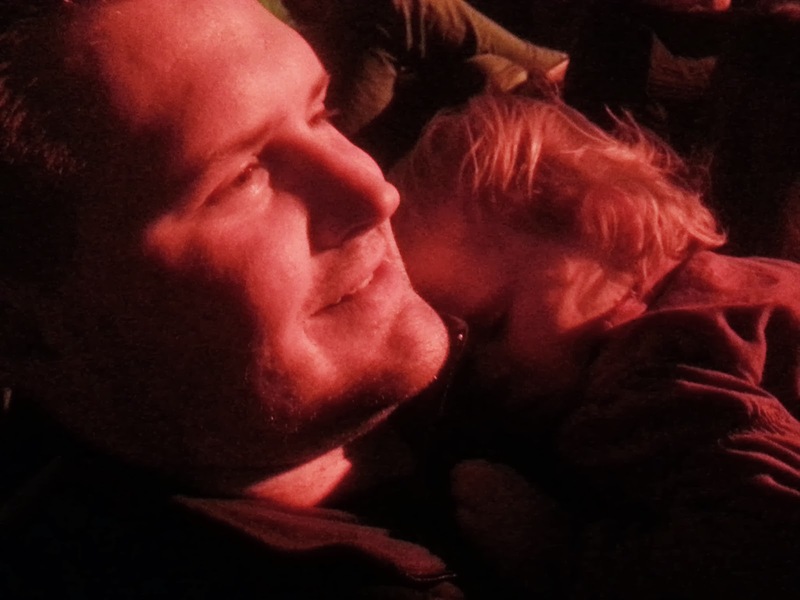 She fell asleep on Daddy at intermission and slept through the rest of the circus. Naptime is precious, you know? I was glad we didn't have to pay for a ticket for her (kids under age 2 are free!). If your house is a 3 Ring Circus like mine, then you might enjoy this giveaway from Tommee Tippee! We tried out Tommee Tippee's new 3 ring circus cups, and we love their fun colors and designs. I now have a few different versions of Tommee Tippee's sippy cups, and I love how all of the lids are interchangeable. Whether it's a straw or a spout cup, everything matches to each other. Tommee Tippee has graciously offered to give away a toddler meal set including plates, utensils and their new circus cups. 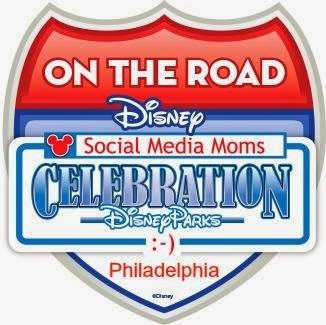 Enter below for your chance to win!! Emily G. is the winner! CONGRATULATIONS! I will email you with more information. Although Tommee Tippee did send me toddler cups to try out with my little ones, Tommee Tippee did not sponsor this post. 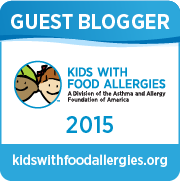 My views and opinions expressed on this blog are purely my own. I like that the lids are interchangeable! I love the colors! I have had my eye on this set for quite some time. Diane, we did have a great time! Rachel, yes, the lids are great! MidgeLidge, I agree about the colors! I wanted to go to the circus. Looks fun! It was definitely fun Carrie! Tommee TIppee sippy cups are the only ones I buy anymore. They are the most spill-proof. I also like that the lids and valves are interchangeable so I don't have to dig for the right one. I would love this set for my sister who is expecting her first baby!